The leads are in sound condition. The frames each measure 13 W" x 40 1/2 H" . 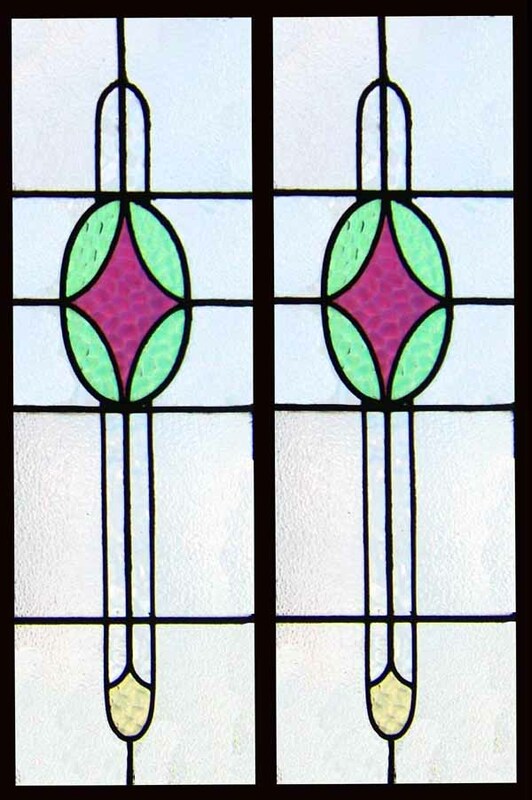 The glass measures 11 " x 38 1/2 " . This Antique Window Shipped and packed to USA would be $129. You can buy this now on credit card using the secure server paypal or woldpay link below the photograph or e-mail sales click here to arrange payment by personal check ,money order or bank transfer.